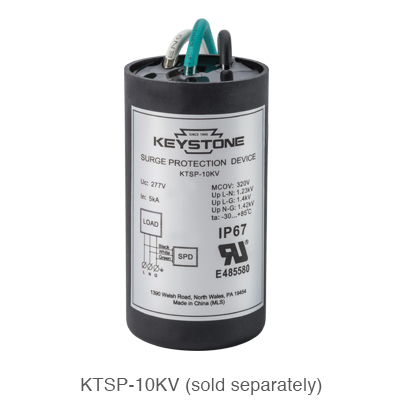 Keystone’s electronic sign ballasts are the ideal replacement for obsolete magnetic ballasts. 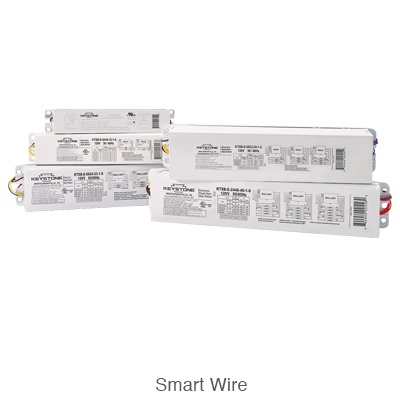 In 2014, the Department of Energy outlawed magnetic sign ballasts due to their inefficiency. 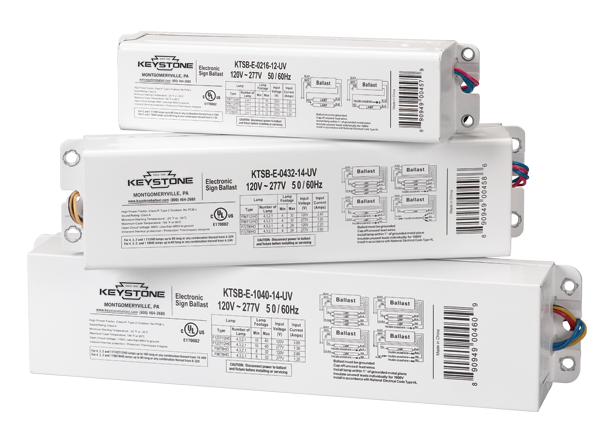 Electronic sign ballasts have many advantages over magnetic ballasts in addition to their energy savings. 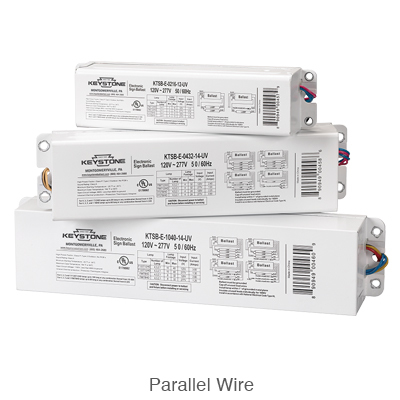 To make upgrading to an electronic ballast as easy as possible, Keystone offers two solutions: Smart Wire and Parallel Wire.